“There are 124 million people in the European Union at risk of poverty.That’s a hell of a lot of people and it’s an unexpected number for many people I think. “Poverty is not just about an income or a salary because a lot of people work and it’s called in-work poverty; they have two or three jobs and they still don’t have enough money to pay for school, housing and food. “Then there are other concerns such as access to energy, to health services, what am I going to do with my children? “And then there is the issue of social exclusion which is very much part of poverty. If a child grows up in poverty possibly he/she is socially excluded that means, for instance, in school he/she cannot go on a school trip, or he/she cannot go to the swimming pool (etc). “Once you’re poor, it’s very difficult to struggle out of it. 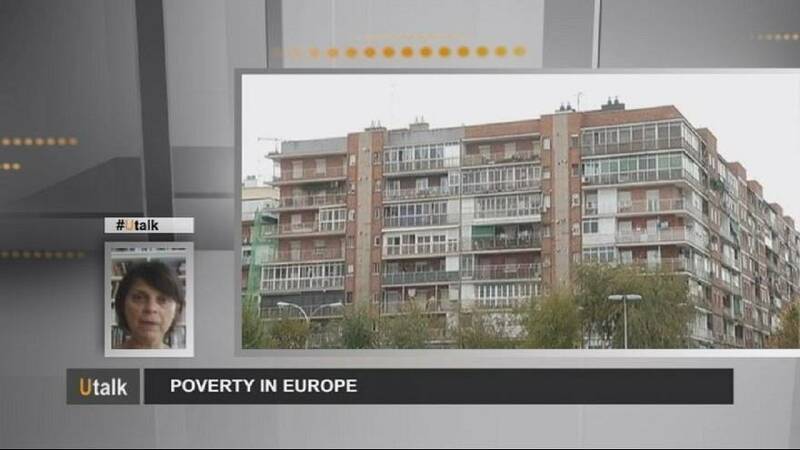 For us – the European Anti-Poverty Network – poverty is a political choice. It’s not a God-given thing. It is because politicians make certain decisions that (mean)these 124 million people live in poverty. If you would also like to ask a question on Utalk, click on the button below.